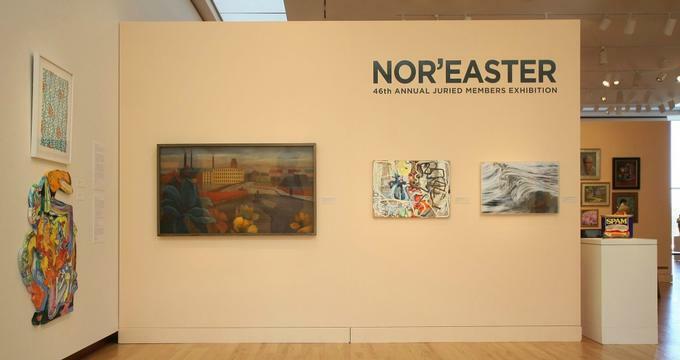 Committed to preserving and showcasing all aspects of American art, the New Britain Museum of American Art is seen as a key player on the well-known Connecticut Art Trail. The museum’s permanent collection contains 8,300 works of art, including sculptures, photographs, illustrations, paintings, and works on paper. Their exhibits cover the entire span of American history from the colonial period all the way to the present day. One of the key strengths of the museum’s holdings is their Sanford B.D Low Illustrations collection, which features many well-known contributors to American art, such as Norman Rockwell. History buffs will enjoy viewing the museum’s well-regarded collection of colonial and federal portraits. The diversity of themes, styles, and historical periods represented in the museum’s permanent collection gives visitors a holistic view of American identity. Anglo-American history is generally considered to have begun after Columbus completed his first voyage to America. The 16th and 17th century saw Juan Ponce de Leon explore the Florida coast and the subsequent settlements of Massachusetts and Virginia by pilgrims and English colonists, respectively. By the 18th century, the newly formed colonies began creating artistic communities and curating their own shows. John Smibert was a key figure in this endeavor, as he is considered to be the first academically trained painter in colonial America. The works by this founding artist demonstrate the way early American art was very much informed by techniques popular among London’s elite. In this way, visitors are invited to note this era as a starting point for American art and to contrast it with the unique ways it developed in later periods. The 18th century was doubtless pivotal for the newly formed United States. Having declared independence from Britain, the young country elected it first president and constructed the White House. The art of era reflects the hope, dynamism, and chaos that characterized the early days of the republic. Much of the art created during this time was aimed at solidifying the legitimacy of newly ascended American leaders. Just as in the colonial era, British artistic conventions were employed to achieve this end. Though born and raised in Boston, Mather Brown was a great example of this tradition. Through the museum’s collections of his portraits, which depicted leaders and merchants alike, visitors can observe the way in which the new country chose to portray its freshly formed values. With the rapid industrialization of the virgin wilderness covering a large portion of the United States, American landscape art was harkening back to an era of romantic simplicity and reverence for nature. When exploring the museum’s holding from this era, visitors can learn to recognize this trend in still life miniatures, landscapes, and even portraits. At the same time, the first overtures of an artistic identity separate from that of England become evident through the art of this time period. During this period, female artists started to come to prominence, in some cases completely outshining their male counterparts. Sarah Miriam Peale and her sister Anna were two such artists who are prominently displayed at the museum for their extraordinary contributions. In contrast to the often stuffy British-inspired portraiture and romantic landscapes of the Jacksonian era, the period that followed saw a great shift in American art. The violence of the Civil War was expressed in the paintings of renowned American artist Winslow Homer. Interestingly, visitors will see similar themes in his landscape works produced later in his career. For the first time, the lives of ordinary citizens became noteworthy subjects for artists, resulting in paintings that are full of vigor and expressiveness the likes of which the new country had not yet seen at the time. As America was beginning to urbanize, the public began to mourn a bygone and in many ways idealized frontier past. The art of the era reflected this, especially in the depiction of Native American populations, which by then were largely relegated to reserves. Museumgoers will likely notice the way in which the romanticized “Noble Savage” often depicted by Anglo-American artists of this era is in many ways a result of the colonial guilt and misunderstanding of America’s original inhabitants. The period following WW2 saw massive social upheavals within the social and political fabric of the nation. Visitors will likely be able to see how American artists used art as a mechanism for enacting social change and expressing ideas often considered controversial.